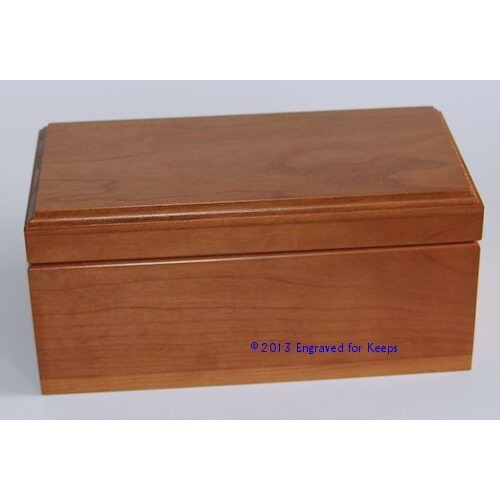 This versatile felt-lined Made-in-the-USA Keepsake Box is available in both Cherry wood and Dark Walnut wood. It is a wonderful size for family gift-giving to be cherished for years to come as well as it can be used for corporate and club awards. 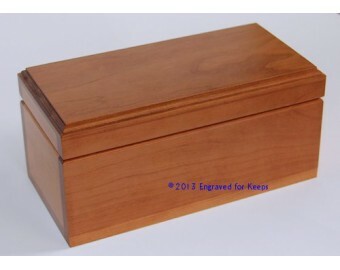 A 3" x 7" space is available across the whole top, plus a 2" x 7" space on the front of the box is available for engraving a name, or a name & dates, or text of your choice. 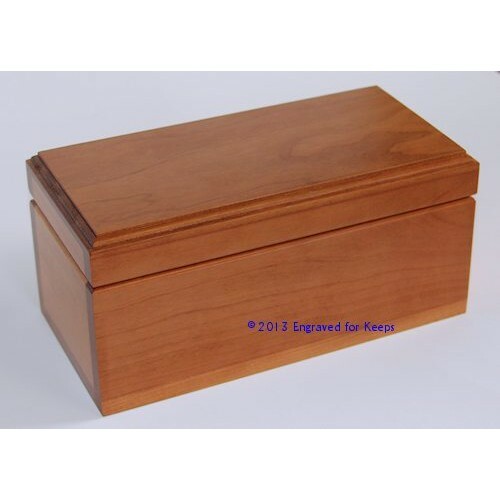 Dimensions 4" x 8" x 3.75" Outside Edges with Inside Edges approximately 3.25" x 7.25" x 2.25"
Engraving Options Includes personalized engraving with any amount of text that can fit in the 1.5" x 4.5" and 2" x 7" allotted spaces with your choice of standard font.